Quality of Service is a measurement of the degree to which the attributes and needs of the cyclist are met. In other words it describes the quality of the cycling environment – a high Quality of Service will better meet the 5 Needs of the Cyclist. The appropriate Quality of Service is influenced by the characteristics of vehicular, cycle and pedestrian traffic and by network characteristics. 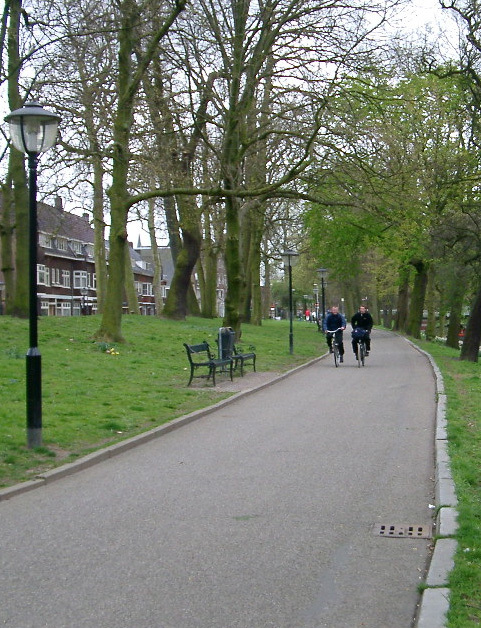 As such, it is not solely determined by the physical quality of the cycling infrastructure or the cycling capacity. Pavement Condition Index (PCI) is a measure of the physical integrity of the cycling surface. It is determined by comprehensive visual inspection as set down by the Department of Transport. In the absence of a formal PCI score, use a locally derived marking system out of 100. Number of adjacent cyclists describes the capacity for cycling two abreast and/or overtaking. “2+1” accommodates two abreast plus one overtaking. Number of conflicts is a measure of the potential interruptions to a cyclist per 100m and may include bus stops, side-roads, driveways, entrances, junctions, pedestrian crossings, parking and loading etc. Junction time delay is a measure of the actual time delay at junctions as a percentage of the overall journey time, assuming an average journey speed of 15 km/h. HGV influence is a measureof the number of HGVs and buses adjacent to cyclist as a percentage of the total traffic during peak hours. Quality of Service (QOS) is ranked from Level A+ (highest) to Level D (lowest). To achieve any particular QOS, at least 4 of the 5 criteria must be achieved. The fifth may be no more than one level lower, e.g., a route meeting four criteria at Level B and one at Level C has an overall QOS Level B.